Ralph Angus McQuarrie (June 13, 1929 â€“ March 3, 2012) was an American conceptual designer and illustrator who designed the original Star Wars trilogy, the original Battlestar Galactica TV series, E.T. the Extra-Terrestrial and Cocoon, for which he won an Academy Award. McQuarrie was born Ralph Angus McQuarrie on June 13, 1929 in Gary, Indiana and was raised on a farm near Billings, Montana. He served in the United States Army during the Korean War, surviving a shot to the head. After returning from the war, McQuarrie moved to California in the 1960s, studying at the Art Center School, then in downtown Los Angeles. Initially he worked for a dentistry firm, drawing teeth and equipment, before working as a technical illustrator for Boeing, as well as designing film posters and animating CBS News's coverage of the Apollo space program at the three-man company Reel Three. While there, McQuarrie was asked by Hal Barwood to produce some illustrations for a film project he and Matthew Robbins were starting. 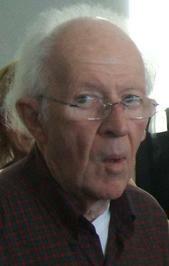 McQuarrie married Joan Benjamin in 1983 and stayed married until his death. Impressed with his work, director George Lucas met with him to discuss his plans for a space-fantasy film. Several years later, in 1975, Lucas commissioned McQuarrie to illustrate several scenes from the script of the film, Star Wars. McQuarrie designed many of the film's characters, including Darth Vader, Chewbacca, R2-D2 and C-3PO and drew many concepts for the film's sets. It was McQuarrie who suggested that Vader wear breathing apparatus. McQuarrie's concept paintings, including such scenes as R2-D2 and C-3PO arriving on Tatooine, helped convince 20th Century Fox to fund Star Wars, which became a huge success upon release in 1977. Neil Kendricks of The San Diego Union-Tribune stated McQuarrie "holds a unique position when it comes to defining much of the look of the "Star Wars" universe. "McQuarrie noted, "I thought I had the best job that an artist ever had on a film, and I had never worked on a feature film before. [...] I still get fan mail â€” people wondering if I worked on Episode I or just wanting to have my autograph." Around the same period, he was brought on board the design team of Star Trek: Planet of the Titans to re-design the USS Enterprise. McQuarrie went on to work as the conceptual designer on the film's two sequels The Empire Strikes Back (1980) and Return of the Jedi (1983). Christian Blauvelt of Entertainment Weekly praised McQuarrie's works as "pioneering of the 'used future' aesthetic" which unlike other science-fiction, "imagined a lived-in galaxy that was gritty, dirty, and in advance states of decay." He described McQuarrie's style as "strongly geometric subjects rendered in muted colors against a flat, purposefully compressed backdrop. A McQuarrie Star Wars design looks like what would have resulted if Salvador DalÃ­ had sketched concepts for Universals 1936 Flash Gordon serial by way of Sergio Leones Old West." McQuarrie played the uncredited role of General Pharl McQuarrie in The Empire Strikes Back. He appears in Echo Base on Hoth in the film's opening sequence. An action figure in his likeness as "General McQuarrie" was produced for Star Wars 30th anniversary. Action figures based on McQuarrie's concept art, including conceptual versions of the Imperial Stormtrooper, Chewbacca, R2-D2 and C-3PO, Darth Vader, Han Solo, Boba Fett, Obi-Wan Kenobi, Yoda and other characters have also been made. McQuarrie designed the alien ships in Steven Spielberg's films Close Encounters of the Third Kind (1977) and E.T. the Extra-Terrestrial (1982), while his work as the conceptual artist on the 1985 film Cocoon earned him the Academy Award for Visual Effects. He also worked on the 1978 TV series Battlestar Galactica, and the films Raiders of the Lost Ark, Star Trek IV: The Voyage Home and *batteries not included. Ralph McQuarrie is the most iconic artist in the history of Star Wars. He worked hand-in-hand with George Lucas to help establish the sagaâ€™s visual aesthetic, its inimitable look and feel. Beyond designing Darth Vader, C-3PO, and R2-D2, McQuarrie produced hundreds of pieces of Star Wars artwork, including conceptual paintings, costume designs, storyboards, and matte paintings, as well as posters, book covers, and album coversâ€”even Lucasfilmâ€™s annual holiday cardsâ€”all rescanned and rephotographed for this book. 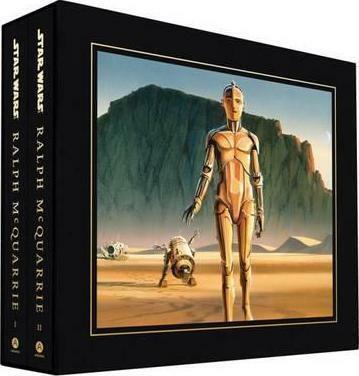 In Star Wars Art: Ralph McQuarrie, readers will find the most definitive collection of the artistâ€™s Star Wars work ever assembled, including hundreds of never-before-seen illustrations. Rare unpublished interviews, as well as recollections from McQuarrieâ€™s colleagues and friends, complement and contextualize the art. Star Wars Art: Ralph McQuarrie is a comprehensive tribute to cinemaâ€™s most beloved and influential concept artist.